What cosmetic services do you offer? Through a free Smile Analysis, Dr. Chua can help you pinpoint what’s affecting your smile satisfaction, and build a plan with you to fix problem areas you want to improve. After providing excellent in-­house cosmetic dental services, we’re certain you’ll walk out feeling as confident as ever. 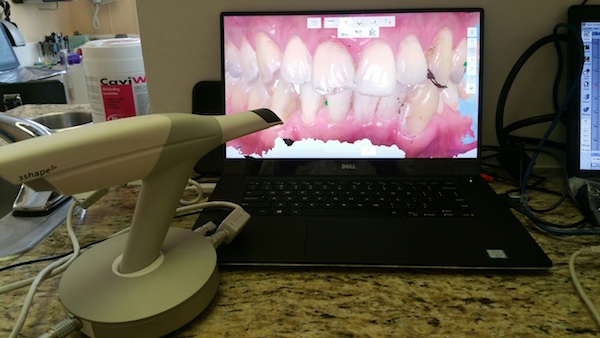 Dr. Chua's technology makes designing smiles easier and less hassle-some, his technology enables him to scan smiles quickly and with precision that goopy molds couldn't before. I just scanned a Google executives' teeth in less than 5 minutes so he can get clear aligners made so he can get his teeth straightened without braces. The technology available for cosmetic procedures is amazing!